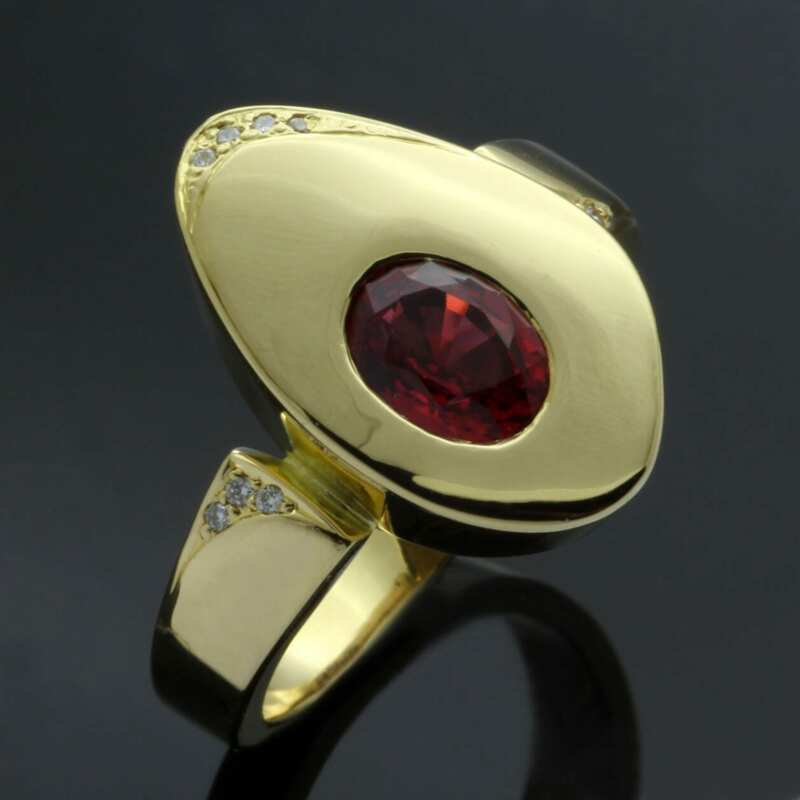 This glorious cocktail or statement ring design showcases a beautiful red Spinel gemstone and Diamonds, expertly crafted by Julian Stephens from precious materials to create an chic modern ring design. A glorious Oval cut red Spinel gemstone is perfectly complimented by the solid 18ct Yellow Gold setting, adorned with a crescent shaped row of Round Brilliant Diamonds for enhanced sparkle. 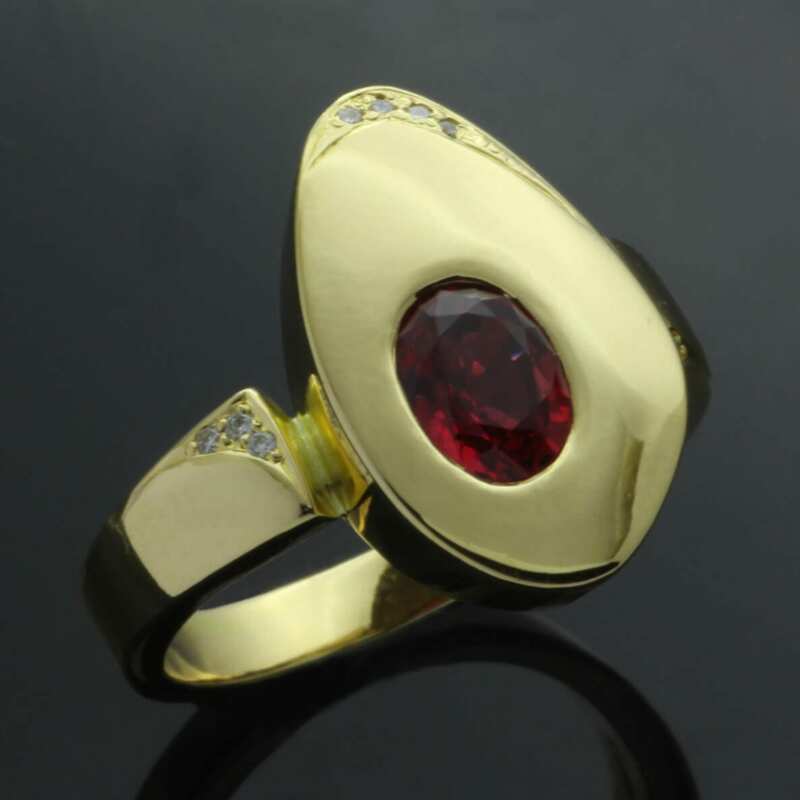 This faceted Red Spinel gem is expertly flush set in a solid 18ct Yellow Gold undulating, gently curved shank, finished with pave set Diamonds. The lustrous, buttery Yellow Gold is hand finished with a high shine polish to the for a glossy finish to the design. This unique and one of a kind Spinel gemstone dress ring includes Julian Stephens exclusive Maker’s Mark alongside a Hallmark of authenticity as an indication of the fine materials used to lovingly craft this exquisite design.